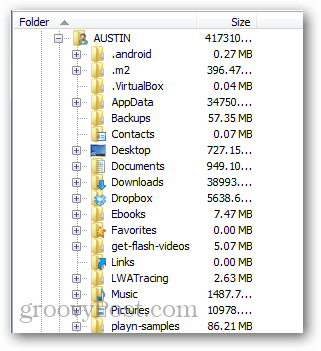 Want to see folder and file sizes while in the Detailed view of Windows File Explorer? Folder Size from MindGems makes it much easier Windows’ default view. One of my biggest pet peeves with the built-in Windows File Explorer is that it doesn’t show the size of folders in Detail View. Out of the box the only way to see folder size is to hover over a folder with the mouse and wait for the info box to pop-up, or open up the folder’s properties through the context menu. Why? If Windows was constantly querying folders for size then the Operating System would see a noticeable performance hit. 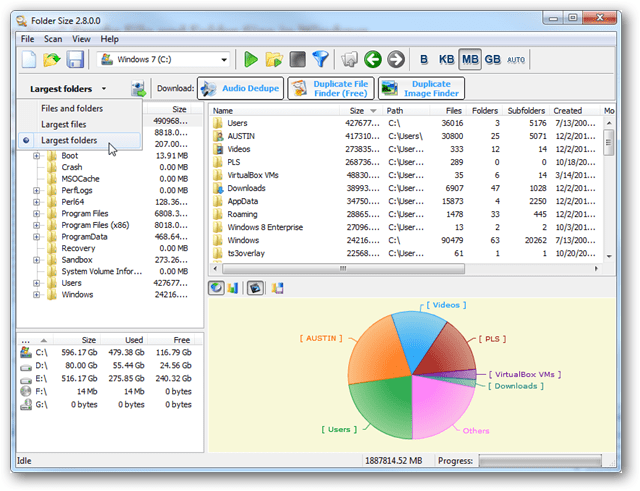 Folder Size is a freeware program that aims to solve this by scanning a drive only when you request it. The program features a simple yet effective graphical user interface. It looks similar to Windows File Explorer and anyone used to Windows should be able to figure out how to use it right away. Best of all, it’s available in a portable version that doesn’t require installation. System space can be sorted by folders across the entire system. With default settings, this shows the top space users on the system. These size rankings can be adjusted and narrowed down into very specific sub folders if needed. Space used can also be sorted showing which files are the largest. As with folders, this can be set to rank based on the entire drive or specific subfolders. What I like is that the program can also be used as a file browser. To open files, it will first brings you to the directory using the default Windows File Explorer. Overall Folder Size is a groovy app that does what it advertises. If you’re cleaning up old junk off of your hard drive, there’s no doubt it’s useful. 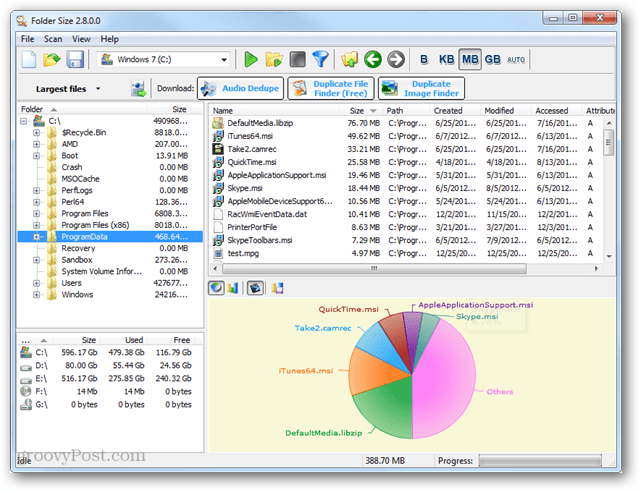 Folder Size can be downloaded directly from the developer’s website, MindGems.com.